Click here for a recording of the live webinar broadcast on September 30, 2014. 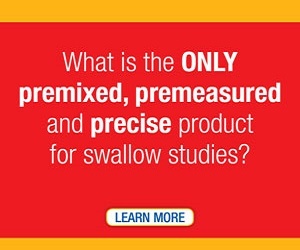 In this webinar, you will learn the role of different medical specialists in addressing swallowing problems. 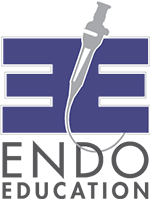 The different physician specialists are described, such as the ENT, the gastroenterologist, and more. 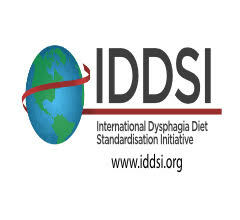 The role of the speech-language pathologist in evaluating and treating all types of problems is described in detail in addition to the process and requirements needed to become a board certified specialist in swallowing and swallowing disorders (BCS-S). Nancy B. Swigert is the director of Speech-Language Pathology and Respiratory Care at Baptist Health Lexington at their acute care facility in Lexington, KY. She is a Board Certified Specialist in Swallowing and Swallowing Disorders (BCS-S). She is an adjunct faculty member at the University of Kentucky. She has authored six publications with Linguisystems (one on adult and one on pediatric dysphagia) and she lectures extensively in the areas of pediatric and adult dysphagia. She received her master’s degree from the University of Tennessee-Knoxville. She currently chairs the American Board of Swallowing and Swallowing Disorders. She was president of the American Speech-Language-Hearing Association in 1998 and chaired the Special Interest Group on Swallowing for three years. She is on the Medical Advisory Board for the NFOSD. For more information about future webinars, as of mid-October 2014, please click here. If you or your loved one has a swallowing problem, you may have experienced frustration as you looked for the right person to help. Often, the first call should be to a speech-language pathologist (SLP), but not just any speech-language pathologist. Because speech—language pathologists have a wide scope of practice, not every speech-language pathologist knows about swallowing. You’re worried about your child’s feeding and swallowing skills. Maybe your child is still taking the bottle when her peers are drinking from a cup. Perhaps your child is choking and gagging when eating certain foods. Or maybe your child, who used to take the bottle with no problems, screams every time he sees the bottle and refuses to drink. Or maybe your child has taken the term “picky eater” to new heights; picky doesn’t begin to describe the limited list of foods your child will eat. Perhaps you’ve had to stop taking your child out to eat at restaurants because his tantrums during meal times draw too much attention. Or your child tries new foods, but spits them out and refuses to swallow.